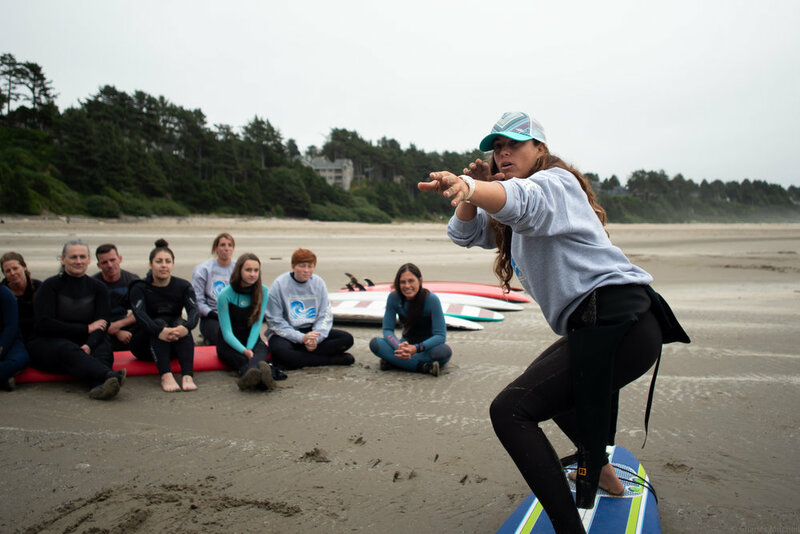 Join us for an inspiring, restorative and engaging weekend of surf and community on the spectacular Oregon Coast! You’ll have the opportunity to surf daily, build your confidence in the water and absorb the salt and play of the Pacific Ocean. We will take time to slow down and practice being in the healing company of the natural world. Meditation, Qigong, body movement and time for reflection are woven throughout our active days together. There will be time to explore your relationship with the Ocean, what she can teach you and how the Earth can help restore connection with your authentic and best self. You’ll learn about the art and technique of surfing as well as information about tides, waves, currents and the culture of women in surfing. 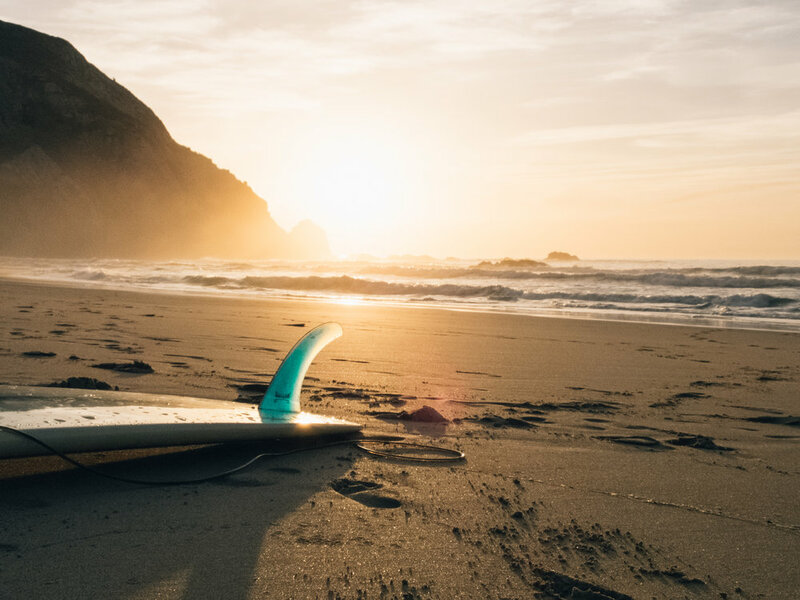 Kelly Potts, pro-surfer, ocean whisperer and dedicated surf coach, will offer guidance as you learn the basics of surfing or hone your skills. Depending on the surf conditions, we will surf at Agate Beach or Otter Rock, just north of Newport. Delicious and nourishing food is provided and prepared with love. Answer the call to stoke the fire of your divine feminine and honor the wild and sacred within you! Be reminded of the unique gifts you bring to the world and how you want to show up in your daily life. Go home feeling recharged and reconnected. No experience necessary; just an open heart and willingness to connect with the sacred relationships of our deepest selves, other women and Mother Earth. Kelly Potts in her element. •All necessary clothing and layers. •Bowl, plate, spoon and cup. A detailed clothing and equipment checklist will be provided once you register. ***Acupuncture offered at an additional cost. Kelly Potts teaching a surf lesson. Plan to arrive anytime after 4:00 pm to Beverly Beach State Park Campground. Upon arrival, you can set up your tent and start to relax into the regenerative week ahead. If you want to move your body, you can walk to the beach and take a stroll. We will meet at 6pm to have our first dinner together. After dinner, we will have time to get to know everyone in the group and go over the schedule. We will start the morning with a delicious breakfast before we head to the beach for our first surf lesson and session. We will stretch, talk about the surf conditions and makes sure you feel comfortable before heading out into the ocean. Our women surf instructors will be ready to support you, whatever your skill level. We will take time on our first full day together to get to know each other, set intentions for the week and open ourselves to the magic of the ocean. Qi gong will be offered in the afternoon before you have free time to explore or do what feels most nourishing. In the evening, we will have dinner together, share stories at the campfire and reflect on our first day together. *Acupuncture will be offered during free time for those that are interested. The day will be filled with surf, beach exploration, Qigong and time to slow down and be. We’ll move our bodies in a variety of ways, connect deeply with the land and sea and also spend time getting clear on what needs to be nourished in our individual lives. The evening will be spent in community sharing food, music and fire. A guided night walk on the beach will be offered to open our senses and soothe us before bed. After breakfast, we’ll pack up camp and head to the beach for our final surf session! We’ll wrap up our experience together over lunch at the beach. We will camp at Beverly Beach State Park in the forest sheltered campground. Our campsites are walking distance to the the long expanse of sandy beach that goes from Yaquina Head to the headlands of Otter Rock. You will need to provide a tent, sleeping pad and sleeping bag.